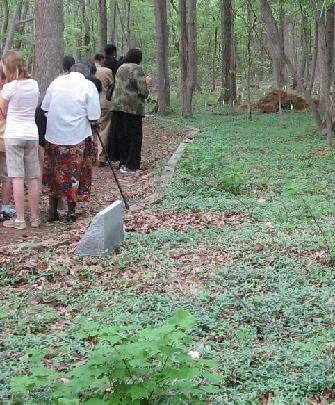 In the woods you will find a historical graveyard that contains remains from former African-American slaves and free people. The graveyard has been restored with markers and walking paths. This graveyard has led to our church partnering with three local congregations (Liberty Hill AMEZ, New Home AMEZ, and Union Baptist) who can trace church ancestors to this graveyard. We have also begun ministry with a congregation in Liberia who can also trace descendants to the Allison Creek graveyard. Download the tour of the historical graveyard or read on-line.